This pattern uses a "Do the Funky Chicken" panel. 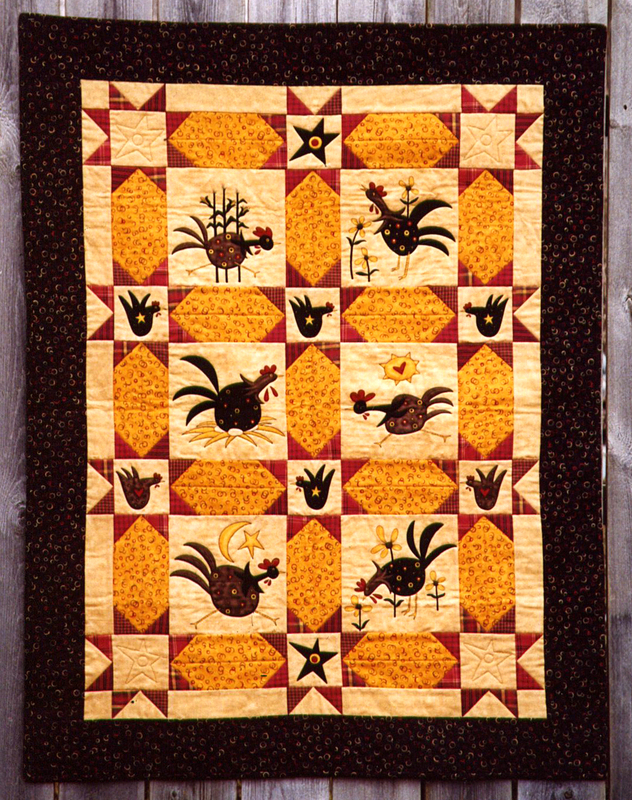 For those of you who love chickens, this is the perfect quilt. Finished size: 36" x 47". *Note this is not an appliqu pattern. Your will need to purchase a Do the Funky Chicken panel to complete this project.